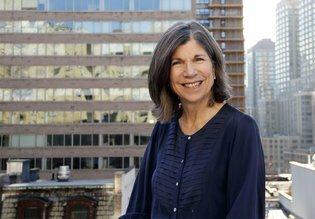 Pictured is Anna Quindlen. Quindlen was formerly a New York Times columnist, who won a Pulitzer Prize for her commentary. Nowadays, Quindlen writes novels. Quindlen's latest novel, Alternate Side, discusses New York City's rather vexatious parking regulations, which force car owners who park on the street to move their cars to the "alternate side" each day. When I lived in New York City, in 1970-1971, I had a car that was subject to these rules. As a description of their personal impact on the car owners who must comply, "vexatious" is perhaps a mild adjective. As is often the case when I mention a book in these blog postings, I haven't actually read Alternate Side, though I have read a review, by Sue Corbett, which appeared in the April 8, 2018, New York Times Book Review. A comment in that review (having nothing to do with New York City's parking regulations) is what prompts this blog posting. Nora’s Achilles’ heel is passivity. She has let life happen to her rather than make the life she once wanted. She didn’t choose a career so much as allow it to choose her. It is my bet that most readers would agree, almost without thinking, that each of us should be "making" the life we want, and that we should "choose" the career we follow, and not let our career choose us. Let me present a contrary and alternative view. The idea that we should each be "making" our own life implies that our lives are constructed works, the product of our own human will and determination. Again, I think that most readers would readily agree that this is our situation. Therefore I say unto you, Be not anxious for your life, what ye shall eat, or what ye shall drink; nor yet for your body, what ye shall put on. Is not the life more than the food, and the body than the raiment? Behold the birds of the heaven, that they sow not, neither do they reap, nor gather into barns; and your heavenly Father feedeth them. Are not ye of much more value than they? And which of you by being anxious can add one cubit unto the measure of his life? And why are ye anxious concerning raiment? Consider the lilies of the field, how they grow; they toil not, neither do they spin: yet I say unto you, that even Solomon in all his glory was not arrayed like one of these. But if God doth so clothe the grass of the field, which to-day is, and to-morrow is cast into the oven, shall he not much more clothe you, O ye of little faith? Be not therefore anxious, saying, What shall we eat? or, What shall we drink? or, Wherewithal shall we be clothed? For after all these things do the Gentiles seek; for your heavenly Father knoweth that ye have need of all these things. Because I am teaching college seniors at the University of California, Santa Cruz, I frequently talk with students about their future plans. Many, if not most, are soon to graduate, and they are definitely "anxious" about what comes next. Should they go to law school; or not? What career will be the right one for them? To the degree I can, I like to let students know that it is possible simply to let one's career "happen," and to accept what life offers. Life, I have found, offers wonderful things. I am not counseling "passivity," because I agree, with Oliver Wendell Holmes, Jr., that "as life is action and passion, it is required of a man that he should share the passion and action of his time at peril of being judged not to have lived.” I don't think the approach I am suggesting is a "passive" approach to life. 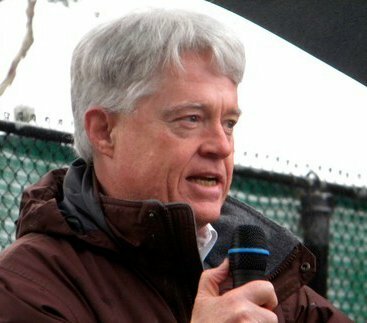 One of the greatest joys of my life was to be able to represent people living in Santa Cruz County as a local public official, and to help our community accomplish things that a large majority of the public wanted, but that wouldn't have happened without the right kind of political and governmental action. This was not a career I sought out or planned or "made." In this, and in other ways, my life is really not the result of my choices and active efforts to "make" a life I have decided that I want. My life has been a gift. My wonderful daughter, and son, and my "career," the work I have been able to do in the world, all came to me as gifts, unplanned. While I understand Corbett's comment about Nora, there is an "alternate side," an alternate approach, to the anxiety we all experience as we consider what our lives are all about, and about what we should do. If we think of life as a "gift," not a "task," we will have a very different life, indeed.